Monique Lhuillier Bridal Flowers Range Collaboration With The Bouqs Co.
You may dream of walking down the aisle wearing a breathtakingly gorgeous Monique Lhuillier wedding dress one day. 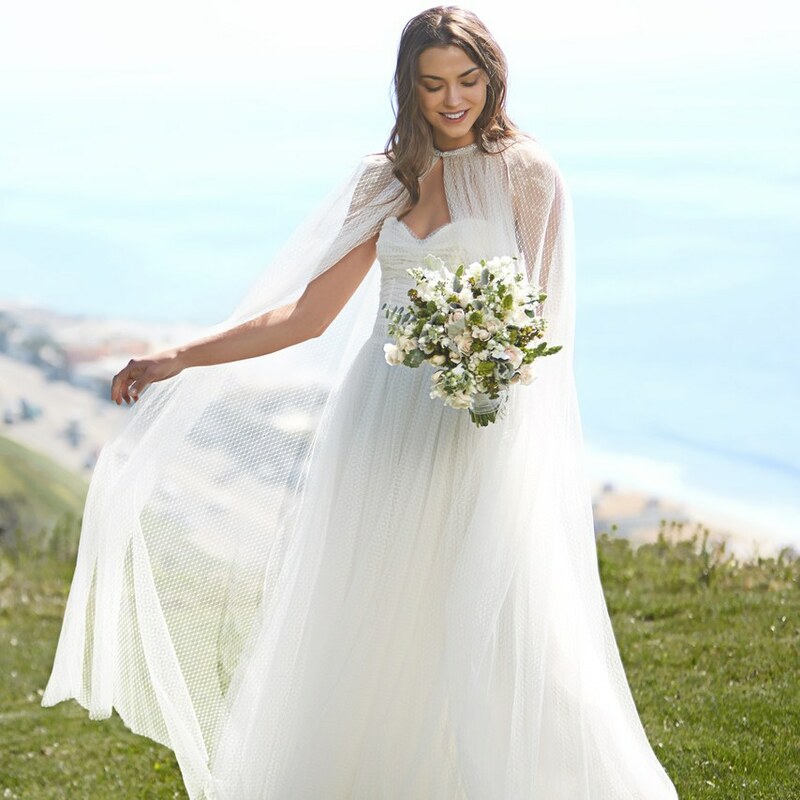 But now, we are excited to announce that the designer has created a special floral range that will allow brides-to-be to also carry bouquets of Monique Lhuiller bridal flowers. 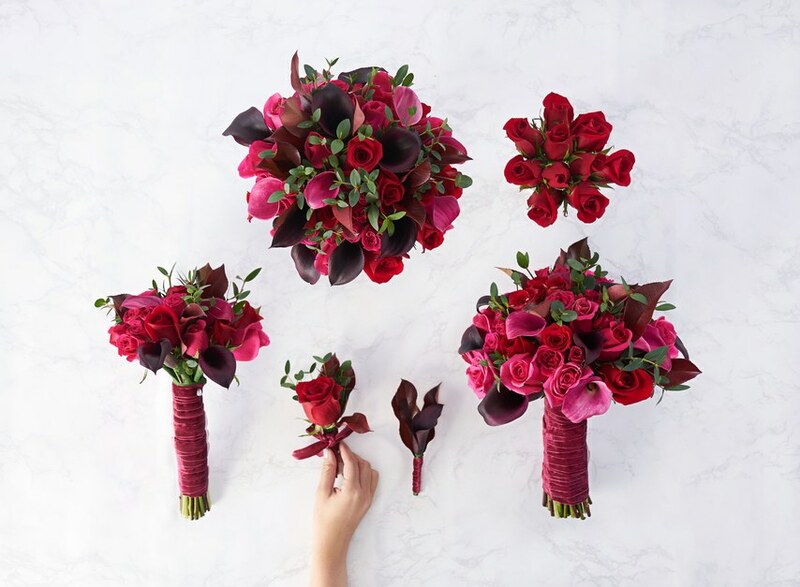 For this special collaboration, the designer has teamed up with online floral retailers The Bouqs Co. to create a co-branded flower collection consisting of four wedding packages in three different sizes. 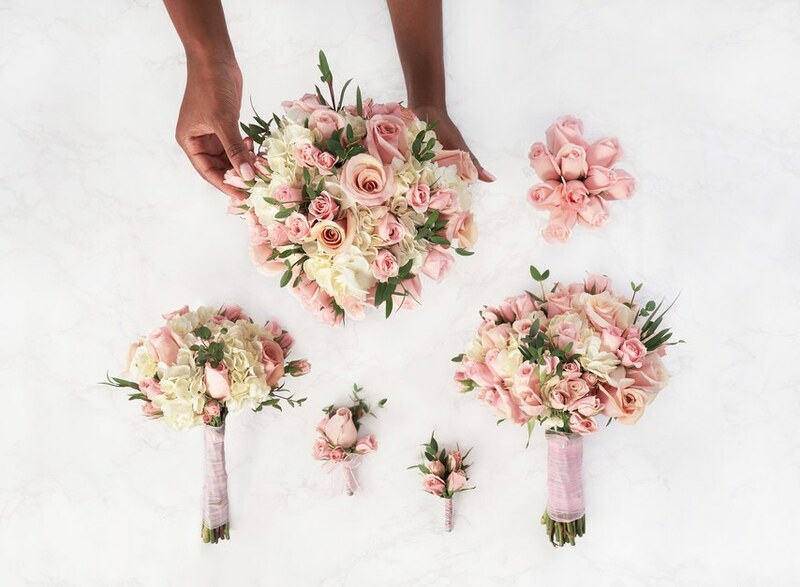 The current options include bouquets for bride and bridesmaids, corsages, centerpieces, and boutonnieres – and will be available starting in Summer 2019. 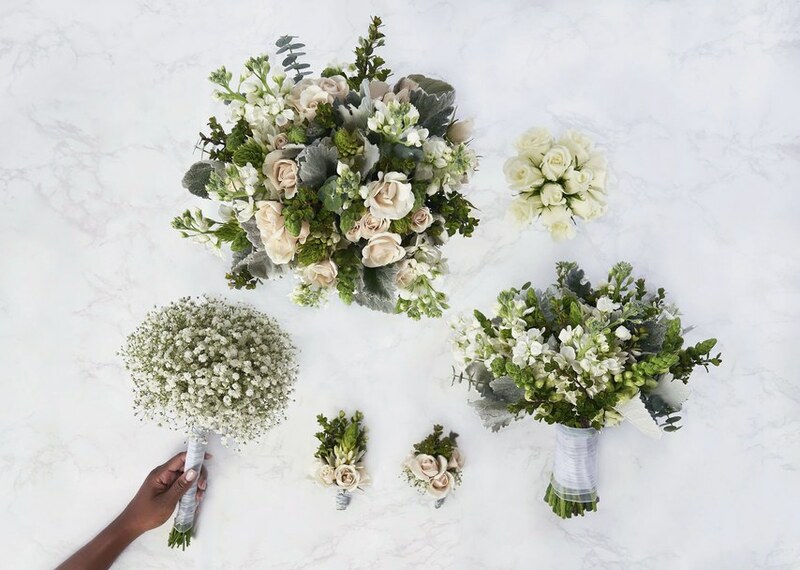 The Monique Lhuiller bridal flowers are available in the Sincere Collection, with a classic white and green color scheme full of spray roses, snapdragons, and dusty miller; the blush-toned Embrace Collection, which features hydrangeas, mother of pearl roses, and silver dollar eucalyptus; the romantic and lavish Opulence Collection, made up of roses, calla lillies, and red photinia; and the joyfully colorful Jardin Collection, with a mix of pink and peach roses, blue delphinium, white aster, and blush spray roses. 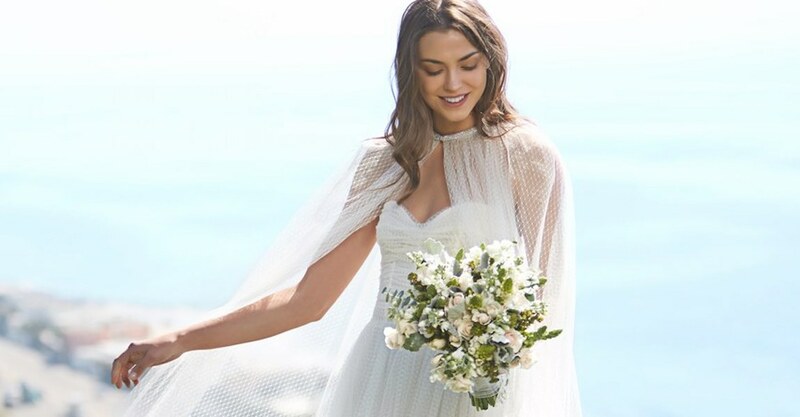 The Monique Lhuillier brand is such a prominent presence in fashion, bridal, home, and more lifestyle spaces – so it’s exceptionally exciting that this new expansion combines some of the designer’s biggest inspirations and talents. 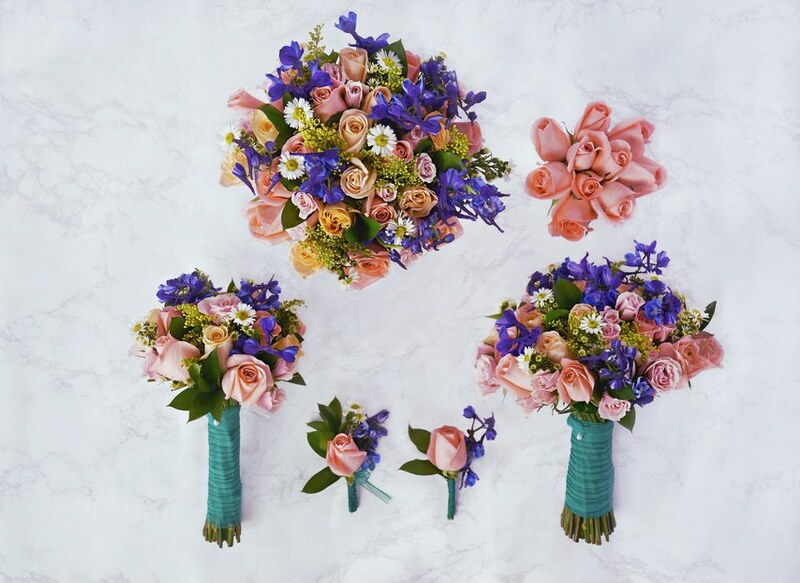 Keep an eye out for the bouquets, launching exclusively with The Bouqs Co. soon. 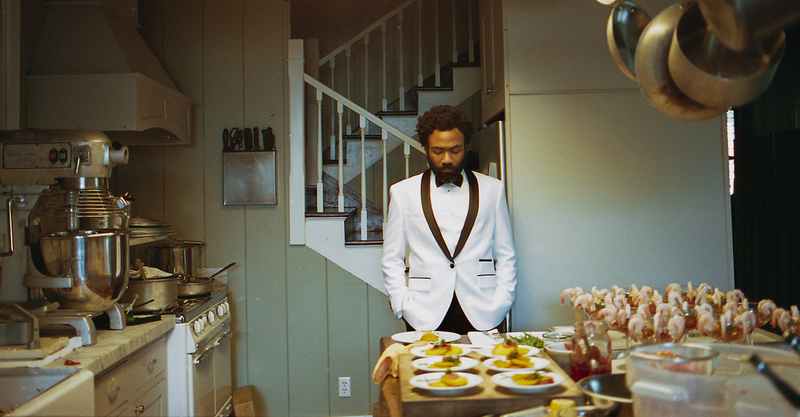 Pricing is set to be available from $399 for 10 pieces, $699 for 20 pieces, and $1,350 for 40 pieces. 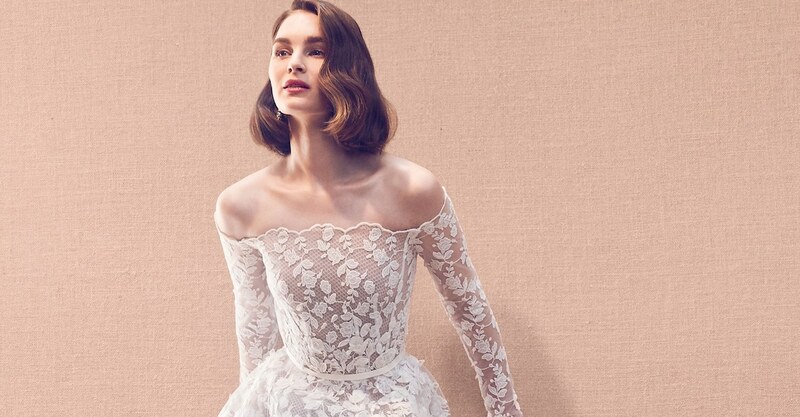 More bridal styles from the Monique Lhuillier brand. More wedding day essentials you need to check out.